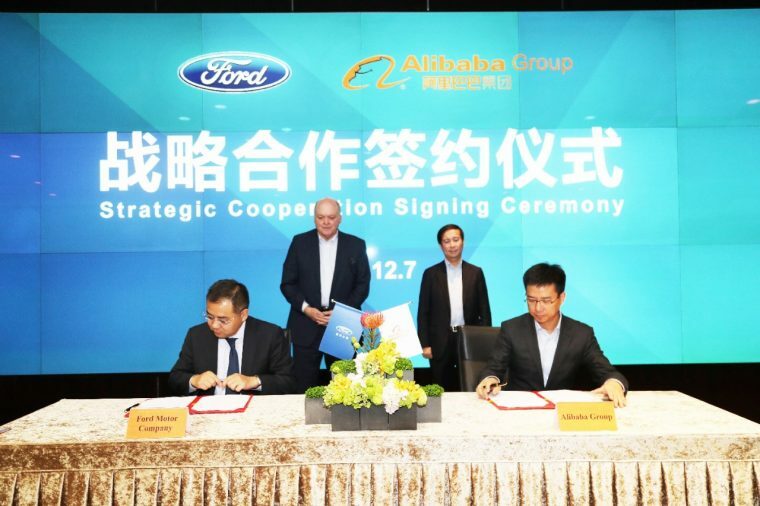 Ford CEO Jim Hackett and Alibaba Group CEO Daniel Zhang were on hand for the signing of the Letter of Intent between their respective companies. Ford China Chairman and CEO Jason Luo and President of Alibaba Senior Vice President Simon Hu signed the document, which bonds Ford and Alibaba in a three-year deal that will see the automaker working with the AliOS, Alibaba Cloud, Alimama, and Tmall business units. 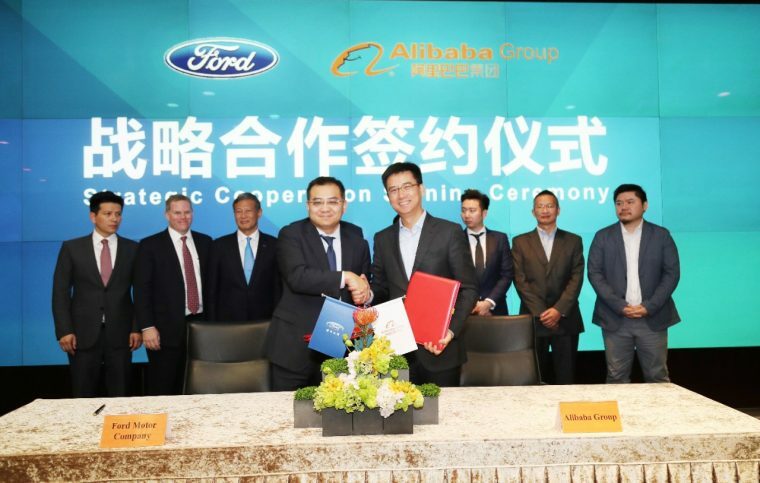 Ford and Alibaba intend to cooperate with regards to mobility services, connectivity, cloud computing, AI, and digital marketing. It will also conduct a pilot study for new retail opportunities, which is consistent with Wednesday’s report that the partnership will ultimately result in Ford selling its vehicles direct to consumers through Alibaba’s Tmall retail site.